Welcome to my personal webpage. Here you can find out more about my research & publications, teaching activities, academic management and my policy-oriented work. My research focuses on International Organisations (particularly, the EU, UN and NATO and to a lesser extent GCC and IMF) and their interaction in the field of global security, crisis management, diplomacy, peacekeeping/peacebuilding and global governance. You can find out more HERE. In addition to my academic work, I try to provide policy-relevant advice and research in the field of International Affairs and Global Governance. In this capacity, I have worked with -or carried out projects for-, inter alia, the UN Department of Peacekeeping Operations, the European Commission, the European Parliament, the French Ministry of Defence and the German Foreign Office. You can find out more HERE. I am a passionate university teacher and have also (since 2012) become more and more involved in academic management. I am particularly interested in 'Theory-Guided, Practice-Embedded and Experiential Learning' and the theory-practice nexus. Find out more HERE. I am fascinated by the dialogues, debates and interactions with a wide range of interested stakeholders inside or outside the academic and policy-work circles. I therefore organise, co-organize or -participate in- a wide range of workshops, conferences, evening lectures, roundtables, parliamentary hearings etc. 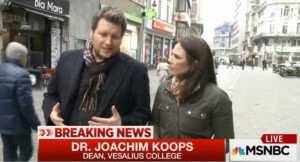 From time to time, I also contribute to international media outlets. You can find out more HERE. Briefing the EU's PSC on Effective Multilateralism. 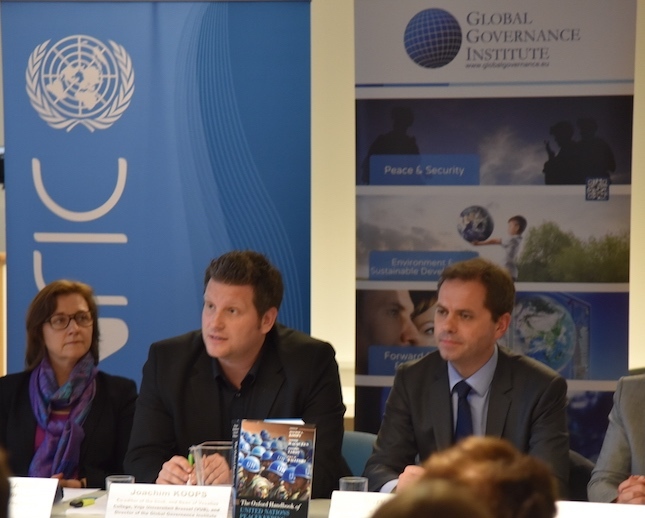 Launch of Global Peace Index (13 June 2016) in Brussels. Further info. Peace & Security Workshop co-organized with Georgetown University. More. Reviews of Oxford Handbook of Peacekeeping out...Further info. Two articles on the European Union, NATO and United Nations have been published this Summer in European Security and ​Contemporary Security Policy. In my article "Theorising Inter-organisational Relations: The EU-NATO Relationship as a Catalytic Case Study" I explore the historical evolution of research on the “European Union (EU)–North Atlantic Treaty Organisation (NATO) relationship” since the 1950s and examine the numerous ways in which it has served as an important case study for applying and developing theory-guided and conceptual research on inter-organisational relations (IOR) in International Relations. The Article "United Nations Rapid Reaction Mechanisms: Towards a Global Force on Standby" explores the history, lessons learned and future prospects of a 'UN Army'. ​Our co-edited Special Issue with the Journal International Peacekeeping (co-edited with my colleague Giulia Tercovich), brings together nine case studies under the theme of "Europe's Return to Peacekeeping? Opportunities, Challenges and Ways Ahead". It is the first deliverable of an international research project of the same title, led by Giulia and myself at the Global Governance Institute, involving over 12 international think tanks and universities. Contributors to this Special Issue include: Thierry Tardy (with an article on France), David Curran and Paul D. Williams (on the UK), Niels van Willigen (on the Netherlands), Peter Viggo Jakobsen (on Denmark), Ray Murphy (on Ireland), Claes Nilsson and Kristina Zetterlund (on Sweden), John Karlsrud and Kari Osland (on Norway) as well as Giulia Tercovich (on Italy) and Joachim A. Koops (on Germany). The introductory article "A European Return to UN Peacekeeping?" can be downloaded for free from the Journal's website. As a result of a collaborative research project that took 4 1/2 years and involved an inter-disciplinary team of 38 scholars and practitioners from 12 different countries, we are pleased that our Palgrave Handbook of Inter-organizational Relations in World Politics has been released in November 2016. Based on an initial authors' workshop I convened in January 2012 in Brussels ("Inter-organizationalism and International Relations: Theories and Cases") the aim of my Co-editor Rafael Biermann and myself was to contribute to the build up a network and theoretical approach within IR of like-minded scholars dealing with the political implications of inter-organizational cooperation, rivalry and impact between autonomous International Organisations. We are grateful to all our contributors and colleagues and look forward to widening and deepening collaboration with anyone interested in the topic of relations between International Organisations in Global Politics. Our 950-pages Oxford Handbook of UN Peacekeeping Operations got published in 2015, taking stock of all 69 operations between 1948 and 2013. You can find out more HERE. On the occasion of International Day of UN Peacekeepers, I had the pleasure of co-organizing with UNRIC, the EU's EEAS, Vesalius College and the Global Governance Institute an evening debate on the "Past and Future of United Nations Peacekeeping" at the Residence Palace in Brussels. You can read more about it HERE. 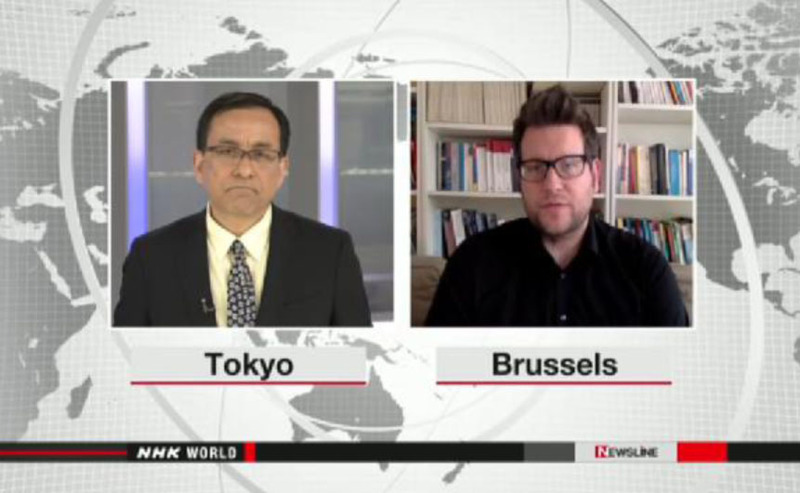 In the aftermath of the Brussels attacks, I conducted several interviews in international media outlets. You can find a selection of interviews and media appearances in the 'talks/events/etc..' section.